It is more important to be real with and about yourself, than to try to be perfect. The biggest revelation that any individual can have about themselves is that they are not perfect and that is perfectly alright. If you are on a path that leads you to your purpose, you will discover your greatness, but the path to being perfect is a never ending circle. 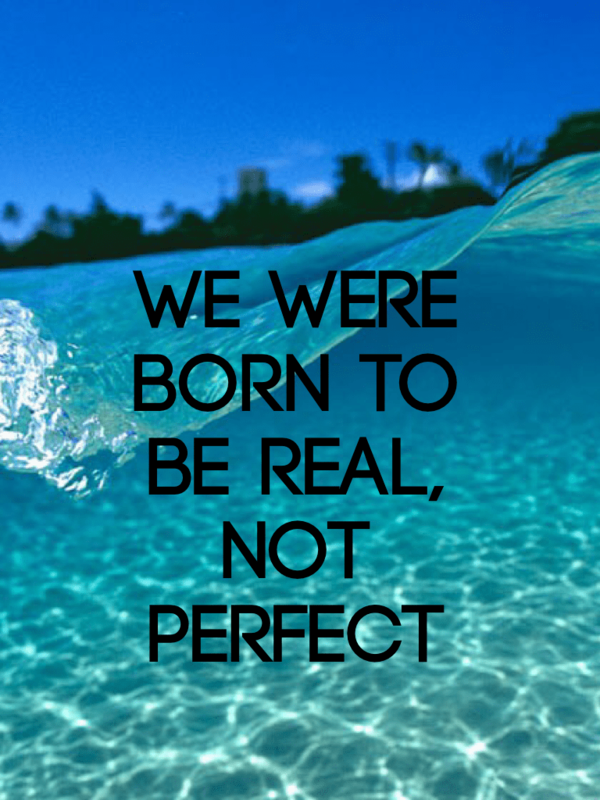 Being real is all about authenticity and self-awareness. Striving to better yourself is something we all should be doing, but trying to be something you’re not is a mistake. Too many people end up going along with the crowd in order to fit in or be accepted. Have you ever noticed that successful people are usually the ones who stand out from the crowd? Leaders and innovators are effective because they find a way to do what no-one else is doing and forge a way for themselves. Your individuality is what is special about you. Your individuality is connected to your purpose. In business and in life, the best way to impress is to be you. Being yourself and doing and saying things that reflect who you are will lead to a greater sense of satisfaction. Allow yourself to be who you were born to be and see your success reach new heights. Leaders inspire and motivate others. This is more than being enthusiastic or giving motivational talks. It is the ability to cause another to know that they matter, and that what they do counts to the point that they desire to do their best. Leaders are honest and have integrity. People will gravitate to and be led or guided by people they trust. Leaders are transparent, are not afraid of the truth, and their actions back up what they say. As a leader you are a role model and set the tone of the community you lead by the behavior you display. Leaders are good communicators. Leaders are able to communicate effectively and clearly and understand that communication is a two-way street. Leaders have vision. A leader is able to look ahead to where the business is going. 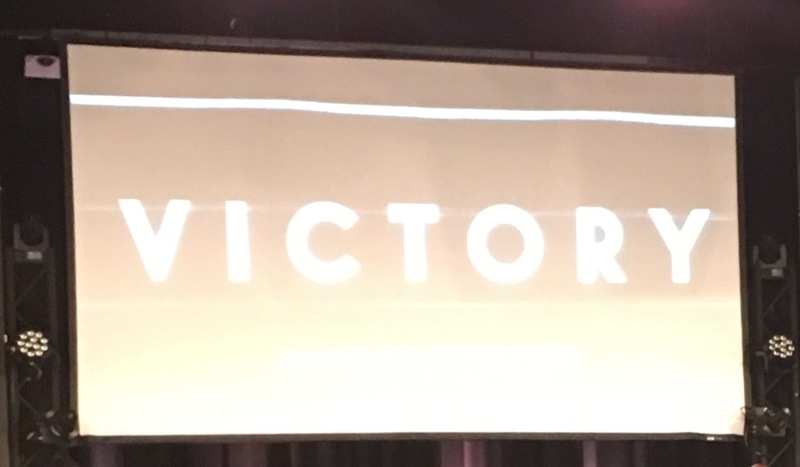 The vision keeps the leader inspired, organized, persistent even in tough times, and maintains focus. Take the time to assess your leadership skills and work on developing them. The potential to be a great leader is within all of us. Having a mentor is great for personal and professional development. A mentor will share knowledge, experience and expertise with others. It is also a biblical concept. Mentoring relationships are found all throughout the bible: Jethro and Moses, Elijah and Elisha, Eli and Samuel, Samuel and David just to name a few. And of course Jesus and the disciples. In the workplace, mentoring benefits all parties involved. 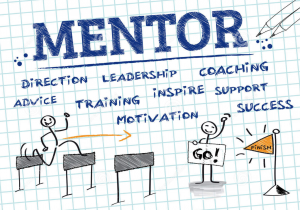 The Mentee: There are numerous benefits that result from having a mentor. The mentee receives the opportunity to get sound advice, education and insight into their personal life, field of study or occupation. When faced with the problems and struggles you may encounter as an employee or entrepreneur, having a wise or more experienced person to help guide you through is always beneficial. Also, a professional relationship with a mentor will provide encouragement and assistance with the tough choices you may have to make. The Mentor: The relationship between a mentor and the mentee provides mutual advantages. In the case of the mentor, they can gain confidence, increased job satisfaction and eventually a potentially expanded network and reputation. Confidence and job satisfaction can be gained because the interaction causes the mentor to take on a leadership role. Additionally, once the mentee “graduates”, from the mentorship a strong professional relationship is generally built and because of this the mentee will be an example of the positive impact of the mentor, thus, expanding their reputation and connections. The Business: The business overall prospers from mentorship because they allow the company to focus on growth rather than training. Furthermore, the employees who are connected through various mentorships benefit from having stronger bonds and better communication, which leads to a more organized, creative and robust working environment. Even the owner themselves being mentored can increase profit and productivity.